UBC professor Christine Schreyer, (second from right) has combined her passion for restoring languages with her Hollywood connections. 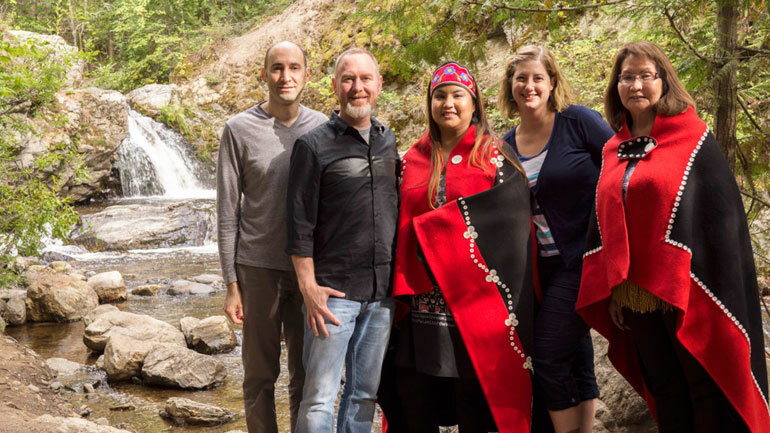 While working on her new documentary, she brought film director Britton Watkins, cinematographer Josh Feldman together with Nicole Gordon and Louise Gordon with the Taku River Tlingit. A UBC professor is combining her love of languages, and her Hollywood connections, to help create a new documentary film. Christine Schreyer, who teaches anthropology at UBC’s Okanagan campus, is a linguistic anthropologist who has dedicated much of her career to working with communities to revitalize their endangered languages. A self-confessed language fangirl, she has spent the past year working as an executive producer on a soon-to-be-released documentary about conlanging (the art of creating languages). Invented languages are nothing new, says Schreyer. However in the past, people were secretive about their languages. Blockbuster films featuring invented languages have shined the spotlight on conlanging, creating a conlanging pop culture, and bringing secretive people together in a collective community. The new documentary, Conlanging: The Art of Crafting Tongues, has an all-star production team, including fellow executive producers David Salo and David J. Peterson, along with associate producers Paul R. Frommer and Marc Okrand. All have been creating languages for years, and each one gained Hollywood fame for bringing conlanging to the forefront. Salo worked on several languages, including Elvish for The Lord of the Rings movies, while Frommer is known for inventing the Na’vi language spoken in James Cameron’s Avatar. Peterson is best known for creating the Dothraki and Valyrian languages for the television series Game of Thrones, while Okrand created Klingon for the Star Trek series. Conlanging is directed by Britton Watkins, language consultant for Star Trek Into Darkness. Schreyer, who is teaching her course on “new” languages this fall—ANTH 474 Pidgins, Creoles and Created Languages—has her own link to Hollywood pop culture. She helped develop the Kryptonian language for Hollywood’s Man of Steel in 2013 and loves how these disparate worlds have collided—Hollywood and her passion for languages. Her academic background has made it easier to raise awareness about new and constructed languages, and why they matter. The perfect examples of this are the Tlingit language board game and online materials Schreyer developed in 2013 while working with the Taku River Tlingit First Nation from Atlin, B.C., to restore their language—tools similar to what Na’vi speakers use to learn this invented language. 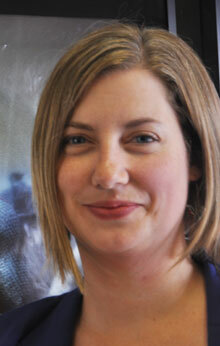 Schreyer and her collaborators were awarded a Connection Grant from the Social Sciences and Humanities Research Council of Canada in 2015. They are currently running a crowd-funding campaign to raise awareness about the project and support the final stages of the film’s production.